BLOX Vortex Generator - Pann Auto Performance - San Diego largest aftermarket automotive performance parts - What do you drive? 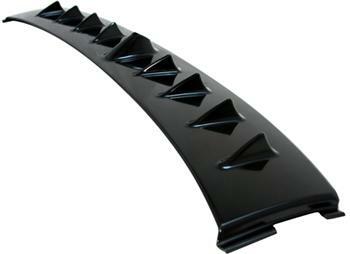 The BLOX Racing vortex generator is molded out of ABS plastic and is designed to be used as an OEM replacement. This aerodynamic piece will direct turbulence to correct areas of the rear of the vehicle and generate extra downforce. The BLOX Racing vortex generator is a direct-fit piece and is installed using 3M™ exterior mounting tape.